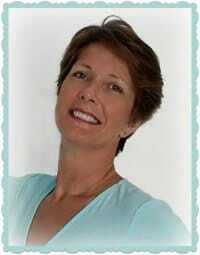 Please welcome my sewing friend Deby Coles (aka So Sew Easy) and find out how Deby Finds the Time to Sew. Below is an interview I did with Deby. But first, a little info on my friend. Deby has a remarkable sewing story. Following a stroke, she decided to start sewing. Let me tell you, friends. This is absolute proof that anyone can learn to sew. 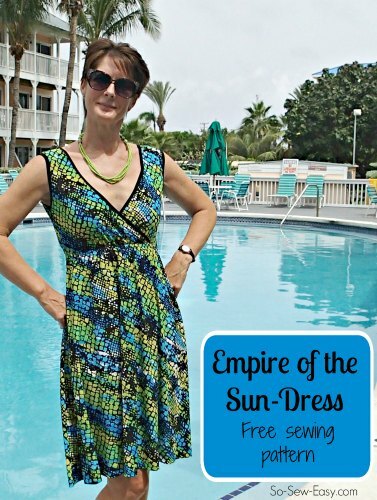 Deby lives in the Caymen Islands which has sewing limitations. 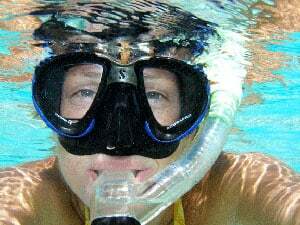 Visit her blog and you will be a-mazed at what she has done! Note: My interview with Deby was done through a series of questions. I’ve listed the questions in bold and Deby’s responses below. 1. How long have you been sewing? Is there any particular reason that you started sewing? I had a stroke a few years back that left me with some difficulties and a loss of memory. I lost my job shortly afterwards and found myself at home, confused, with short term memory problems, uncoordinated, and unable to do many of the things I enjoyed before. On the bright side, I suddenly had a strong urge to sew, which was strange because I had never had any interest before. So I borrowed a machine from a friend, bought a few fabric remnants, and made a start. Because of my poor memory, I started my site as my online diary so that I could document the things I was doing, the skills I was learning, so that I would be able to read and remind myself about them later on. To my surprise, people started to find the site, enjoyed the way I wrote about those basic sewing skills in an easy-to-understand way, and my love of sewing and blogging about it was born. Now running my sewing site has become my full time job. I’ve never worked such long hours or had such a demanding boss! 2. What types of sewing projects bring you the most joy? A year ago I would probably have said making clothes, and I still do enjoy that very much, of course. There are only so many clothes you need when you work from home and live on a tropical island where the sun shines every day. So, I’ve switched my attention recently to sewing bags and accessories and have even started a few simple quilting projects too. I’m at the point now where I’m branching out to try some of the other areas the vast subject of sewing has to offer. I would say, what makes me smile the most is when a picture pops up in the chat group or someone sends me an email, and it’s a dress they are wearing or a skirt or a bag, along with a huge smile, and it’s something they made from one of my patterns. Makes my day every time. Here are the links to that adorable dress pattern and the sassy cosmetic bag pattern! 3. How do you make time each week to work on sewing projects? My sewing site is my full time job, so I actually work about 80 hours a week on it in total. I have to say though, that 80%+ of that time is spent on administration, answering emails, and all of the technical stuff that goes on behind the scenes in running a website. Usually less than 20% is actually spent on planning, executing and writing about my sewing projects. Finding time is sometimes really difficult when another 200+ emails have come in over night and there is a deadline to get a new pattern released by the weekend. That hasn’t stopped me from creating more than 110 patterns and downloads so far, with more to come every month. I’ve come to really love designing sewing patterns and love the technical aspects of designing almost as much as the sewing itself. There are at least two new patterns or projects every month and I’ve now got a library of more than 110 to choose from. Check out the free patterns and projects on this page and the pattern shop here. 4. 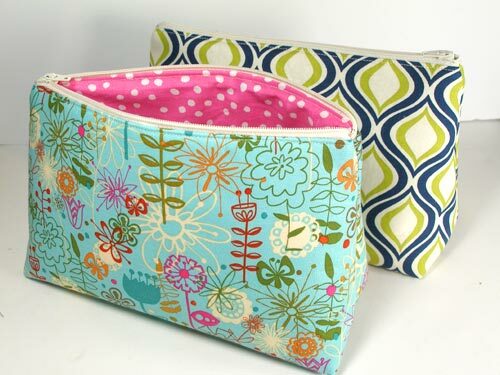 What things in life are currently inspiring creativity in your sewing projects? I have a sewing chat group on Facebook and that group is my daily inspiration. The members there share the most amazing sewing projects they are working on and give so freely of sewing advice and information that since it started my sewing to-do list has expanded and expanded as I want to try more and more new ideas. I love that the group is so supportive and encouraging, always ready to jump in with suggestions, find just the right pattern, or give new sewers all the answers they need to create successful projects. I think it’s the bet sewing group there is! Psst. Little side note from Leslie: I belong to this group and it is so inspiring and supportive! 5. Because you run a sewing successful blog, how do you find the time and energy to sew for yourself as a creative outlet? Well, at the moment that doesn’t really happen very often. 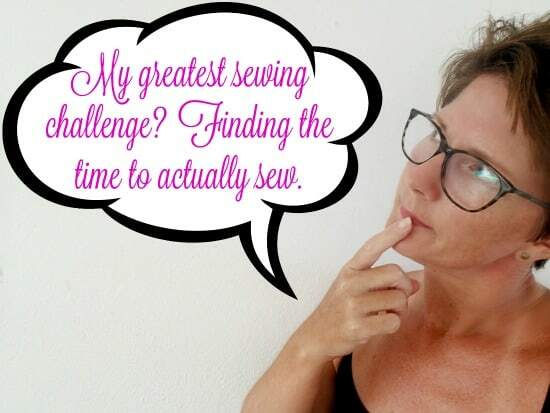 My new sewing ‘job’ takes up all of my time and I push myself far too hard to make sure I still answer every single email, participate in the sewing chat and create as much interesting content as possible for all my readers. Obviously, I share many of my personal sewing projects on the site too, and if I make a dress or something for myself, I’ll always draft up a pattern in several sizes and make it available to everyone else too so that they can have a try. In fact, this might be a good time to mention that I’d love some help with the site. There are only so many hours in the day and so much I can do, but I’d love to make So Sew Easy the best sewing website and resource out there. 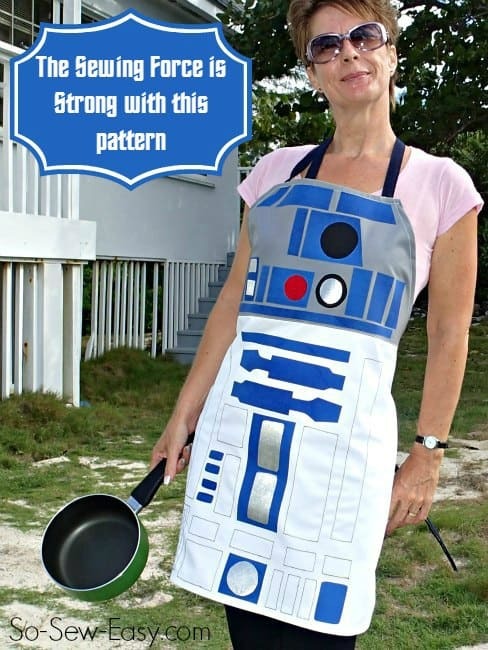 That requires a team of creative sewing minds. If there are any other sewing bloggers out there who would be interested in writing an article or becoming a regular contributor for the site, I’d love to hear from you. 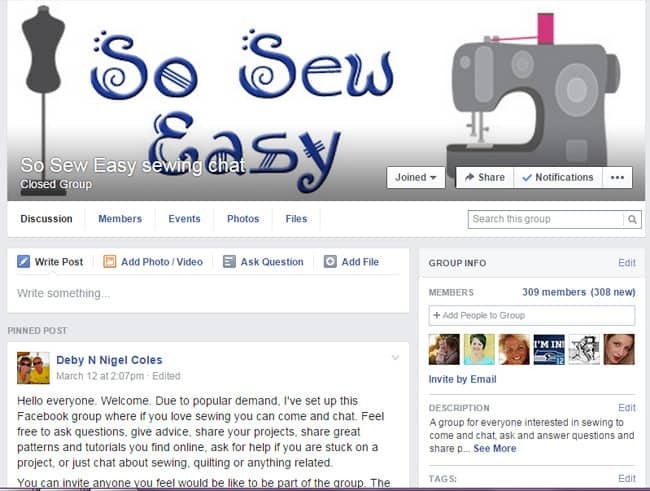 Contact me via the site or Facebook and let’s rock the sewing world together! 6. Anything else: A personal story about sewing, where you buy fabrics, or your best sewing tip. I’m lucky enough to live on a small tropical island in the Caribbean ~ bliss. But this means that I don’t have access to sewing supplies or much choice in the way of fabric. There is a small fabric store and it’s improved a lot in these last 3 years, but I still can’t really get what I need there. I’m hearing it more and more from my readers too. Their local fabric shop has closed down and it’s a long drive to the next town over. Not everyone is lucky enough to have a great fabric shop close by and more and more are shopping for fabric online. Now if you do have a good shop close by, support it please and buy your fabric and sewing supplies there and help keep them in business; if you don’t, I have a few tips for buying fabric online. I buy almost all of my supplies and fabrics online so I’ve open my parcels sometimes to find quite a few ‘surprises’ inside. Fabrics that really didn’t match well, or fabrics that really weren’t at all what I expected. Here are a few tips on how you can try to coordinate fabrics online to make a matching bundle, or put various prints together to see if they match well, or even learn about all of the different fabrics and their properties. Never make an online shopping mistake again! 7. Please list the ways readers can find you online. My Craftsy Pattern Store – More than 110 patterns! Thank you, Deby, again for sharing your talent and passion for sewing with all of us! wow-I don’t have my own blog, but I can relate!I had a stroke 6 yrs ago at age 42, which left me with no use of my left hand. Thank god I’m right-handed, but try opening a ziploc baggie with 1 hand…I wasn’t working at the time, I was an aty home mom and frequent volunteer at my kids’ school.I would LOVE to work part time but can’t find a job whereI’d be able to be helpful to a business with memory/organization problems and only using 1 hand.You’re lucky you found something you ca still do, and do well. best of luck to you! Sorry to hear about your difficulties Polly. Yes, finding a regular job when you do have these sort of difficulties can be really hard so I’m lucky that I am my own boss now and work when I like, doing things I enjoy. Keep looking, there is the right opportunity out there for you somewhere, someone who would be lucky to have you on their team. Thanks for doing this interview. I have been following Deby for over a year now but was not aware of how she began her sewing career. I am in constant amazement at her design talents and her enthusiastic desire to learn and then share what she learns about sewing. She picks up sewing skills quickly and then finds ways to make them even easier. I love her blog and she keeps me inspired.